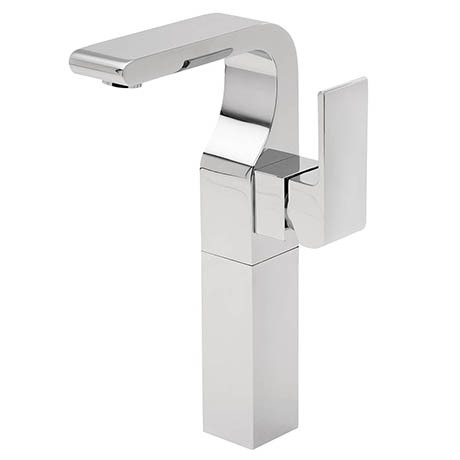 A strikingly stunning tap from Tre Mercati, the extended mono basin mixer features a side lever for precise control and its solid brass construction is finished in polished chrome. Its extended height makes it ideal for countertop basins. Suitable for low pressure water systems.